You might think that visiting only well-known websites ensure you to stay safe online and not be hacked? Well think about it again after reading this recent study of the AVG security company whose researchers have identified malware on most visited sites. The AVG Insight report reveals how a popular page of MSN Italy was redirecting visitors to a corrupted site through a malicious code that just looked like “Exploit Kit Cool” – one of the latest type of malware that cybercriminals came up with. The malware was thus generating a full screen post, claiming that it was the U.S. Department of Justice, telling users that their PC had been blocked due to illegal files stored on the network. With such malware, even if you are asked to pay a ransom to regain control of your system machine, after the payment of the required amount has been released, you cannot still get rid of malicious software that has been installed without your will if you have been hacked. To achieve this, the user must often rely on a computer professional to clean the machine, so that it finally restarts. 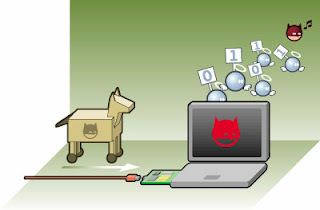 In the second case, the Redkit was configured to install malware on any PC through a Trojan, which was stealing from users ank details and other sensitive information that were stored on their PC. Dispossessed users were mostly American, Canadian and British citizens. What may seem surprising is that such cases happen not in amateur sites, but in such sites of major media group references using security systems that most people think they can use without fear of their computer getting corrupt. With attacks becoming more sophisticated, it is not enough to limit one’s web connection to major sites to stay away from viruses. To avoid becoming the victim of new malware and to be hacked, use a VPN service. Your computer is thus hidden behind the many VPN servers: when you are connected to the VPN, no one can access your computer without passing through the protected VPN servers. In addition, your Internet connection is encrypted with a top secret level that protects you against hackers and illegal ears trying to listen or obtain sensitive information about you. VPN solutions are available for your connections with mobile devices so that you can also protect your cell phone or tablet.